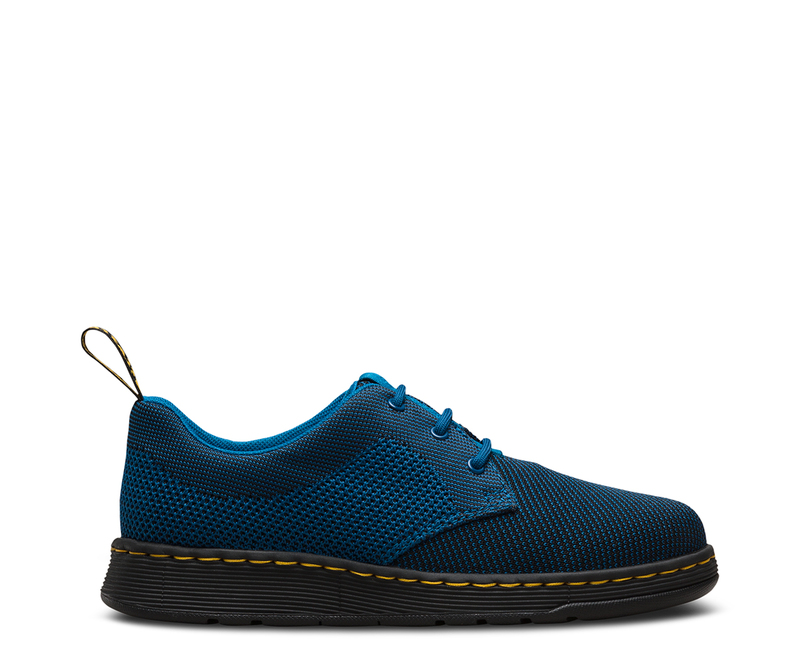 Influenced by streetwear and ath leisure styles, the Cavendish Knit sits on our ultra-lightweight DM's Lite sole and takes inspiration from the classic Dr. Martens 1461 shoe. 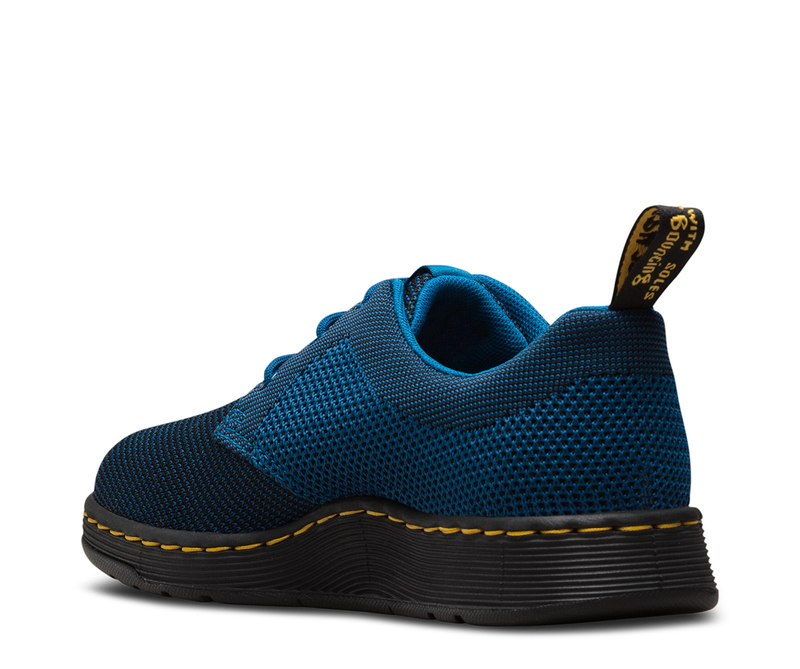 Sportswear-influenced detailing and a high-tech woven upper add a contemporary twist to one of DM's most iconic styles, while the technical knitted upper makes the style contemporary and modern. 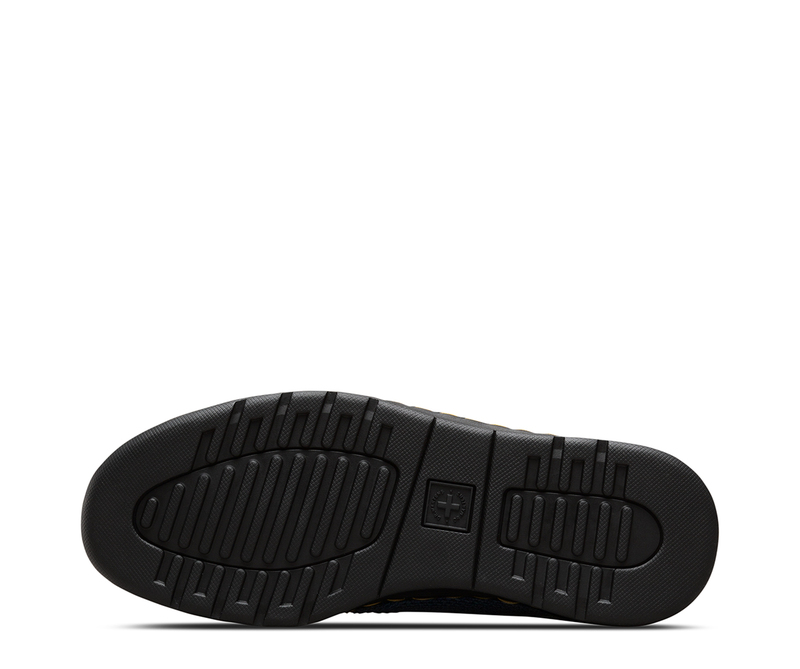 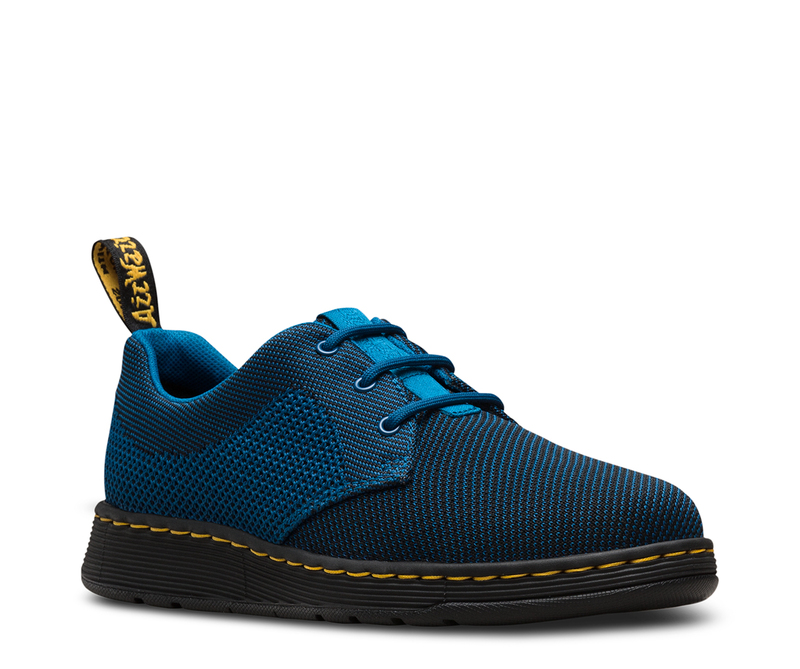 Featuring a 3-eye lace fastening, knit textile upper and a grooved outsole, the Cavendish Knit is finished with a wicking SoftWair technology insole, keeping the foot dry and providing maximum comfort and a Dr. Martens branded heel-loop. 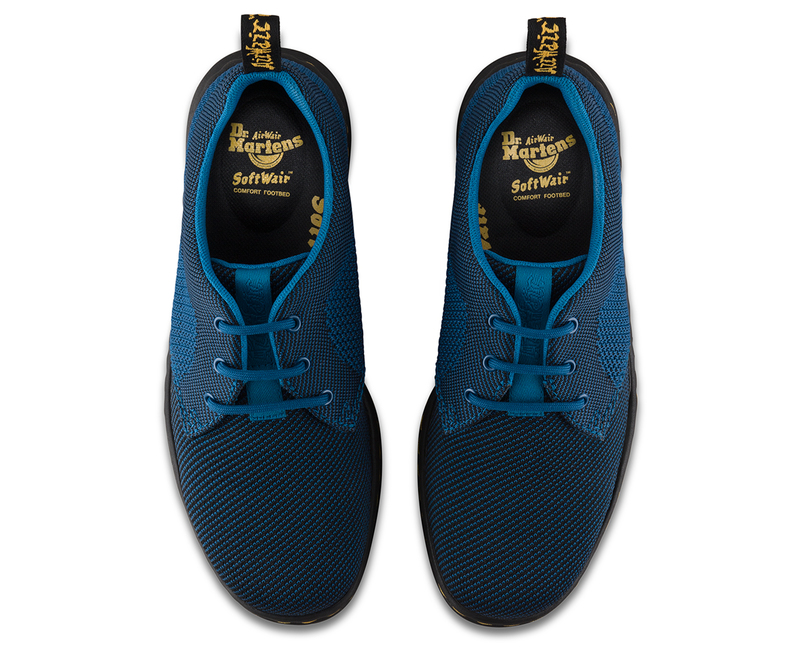 Available in denim blue, black or oxblood colourways.